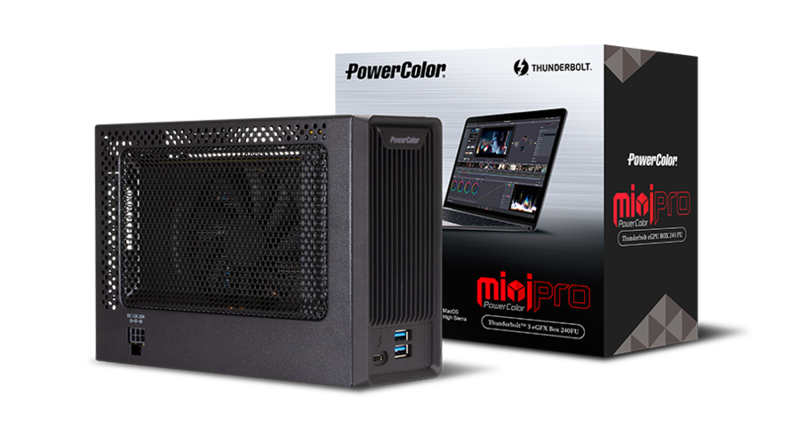 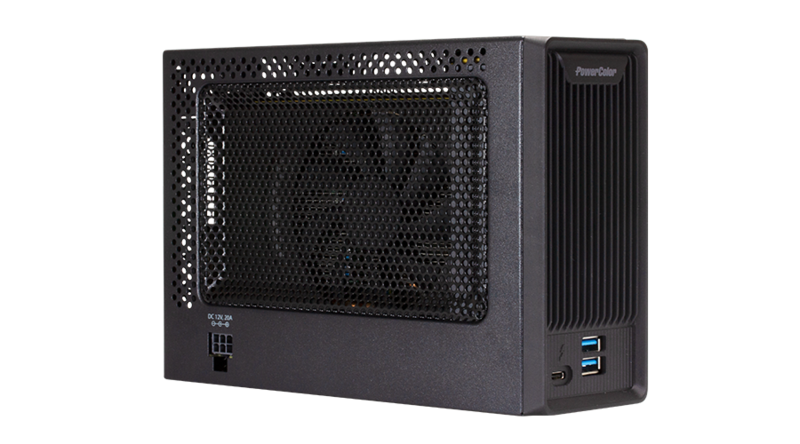 PowerColor Mini Pro eGFX box is powerful, portable and upgradable solutions to boost graphics performance and empower the demanding MacBook Pro, the new MacBook Air and Mac mini users. 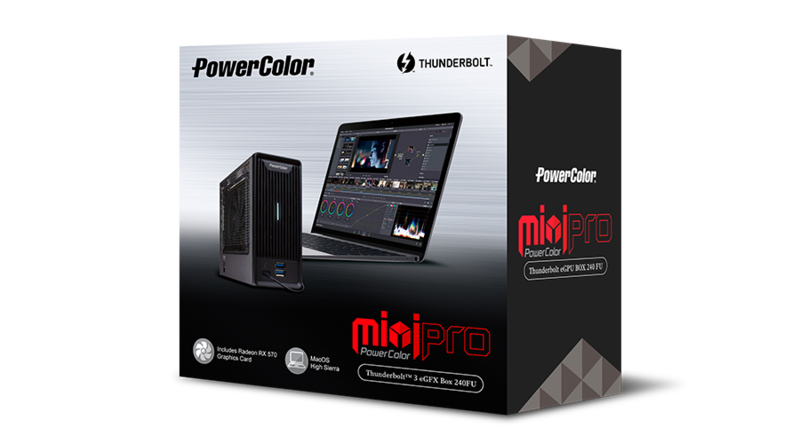 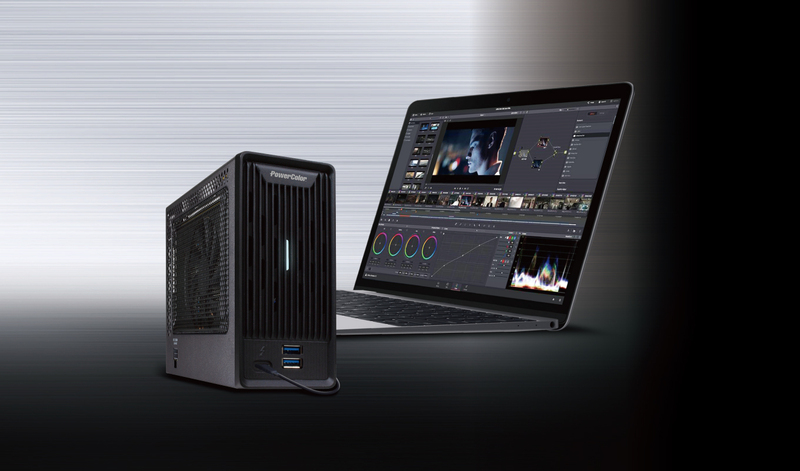 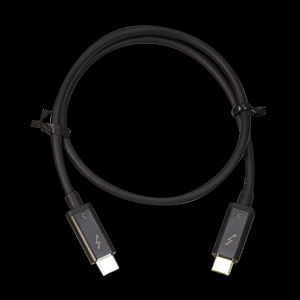 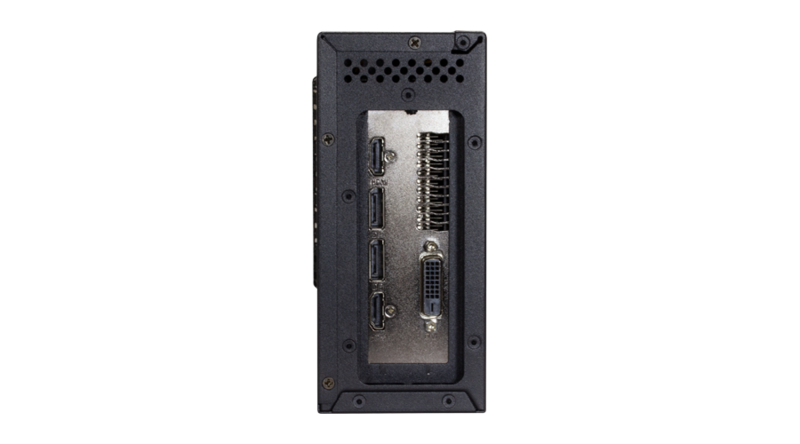 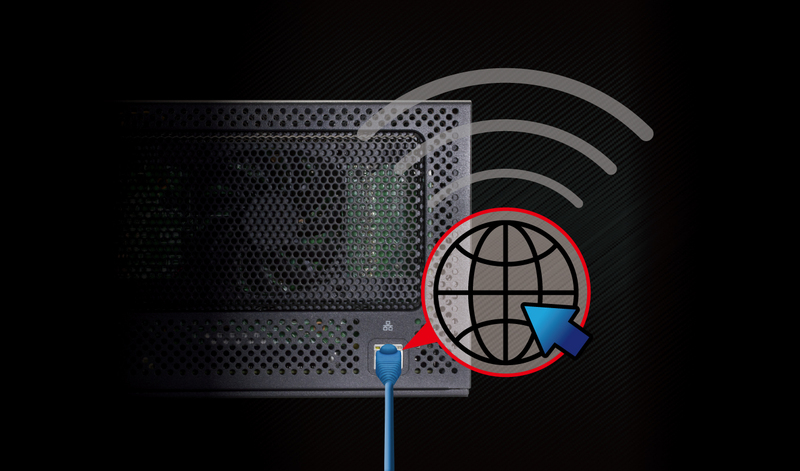 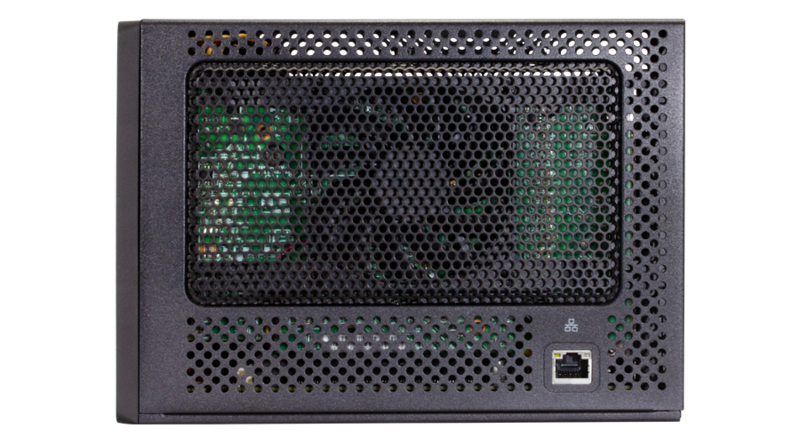 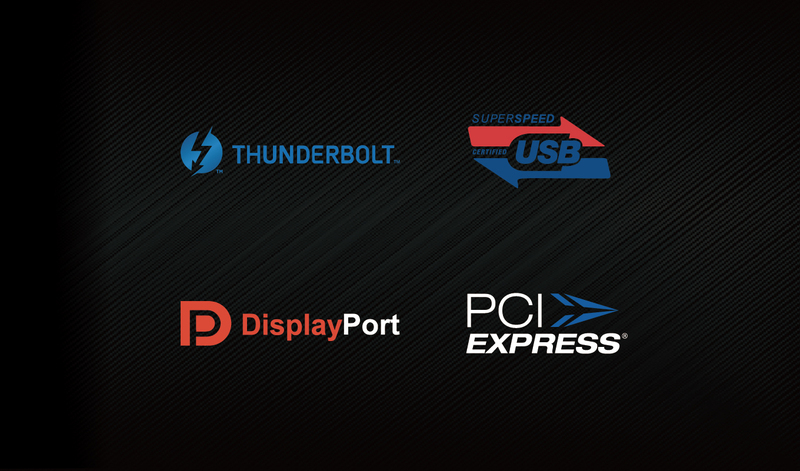 Leveraging the ultra-fast 40Gbps single-cable Thunderbolt™ 3 connection, PowerColor Mini Pro eGFX solution offers easy plug-and-play connectivity for improving graphics performance of macOS computers. 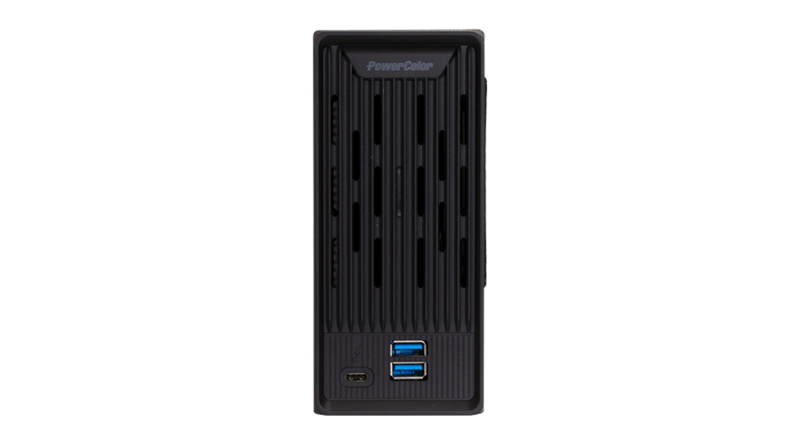 Compact & light design of PowerColor Mini Pro provides better working environment. 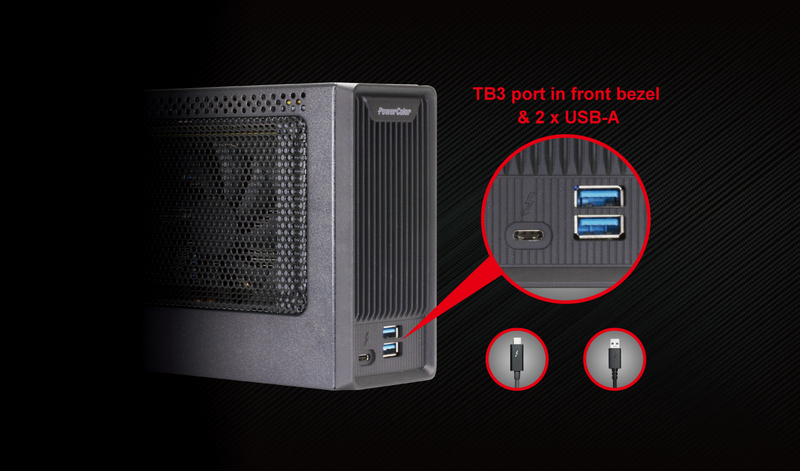 The portable design definitely makes your life much easier. 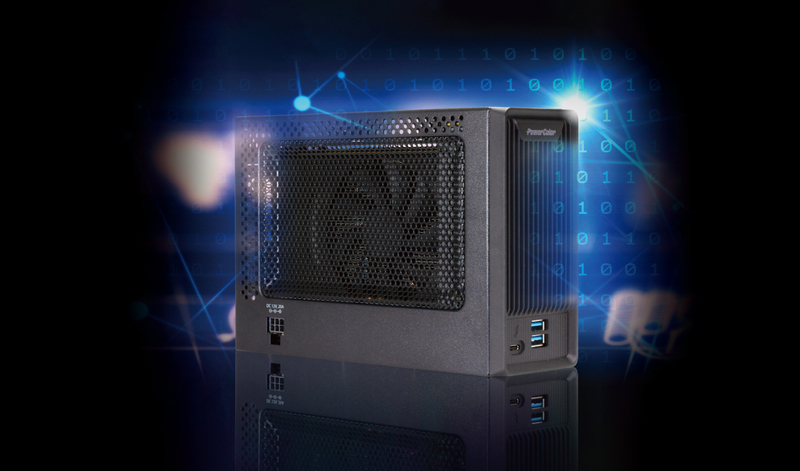 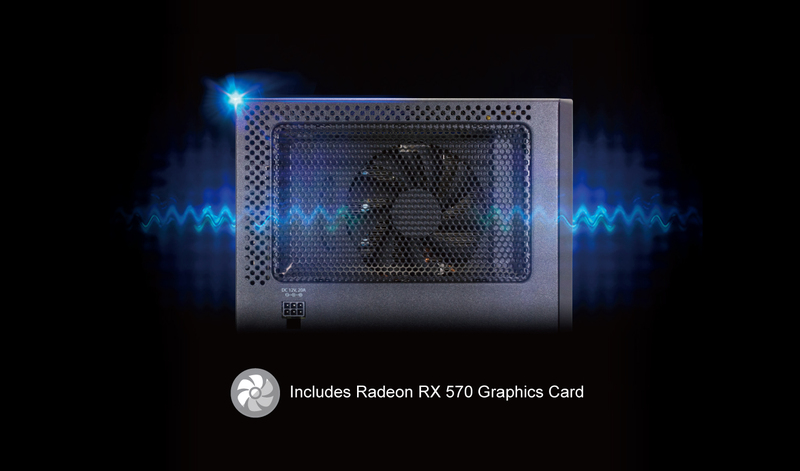 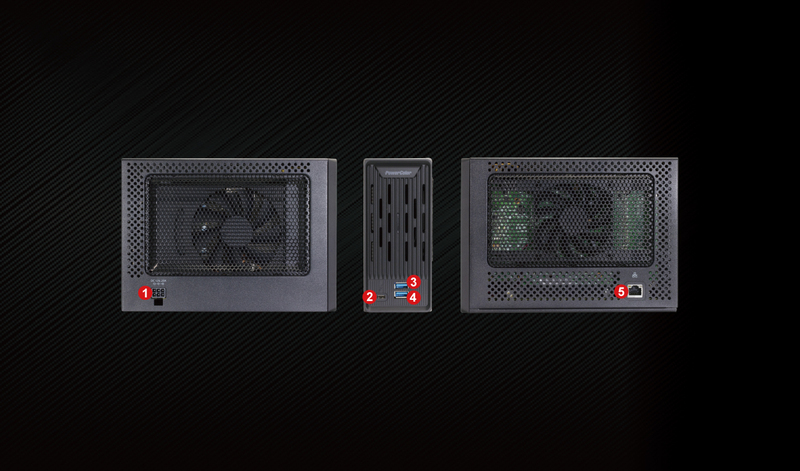 PowerColor Mini Pro features Radeon RX 570 with 8 GB of memory, Gigabit Ethernet port, latest GCN 4 architecture designed for GloFo 14nm FinFET that delivers premium VR capability, increased level of performance, smooth VR, seamless support for next-gen gaming monitors and CPU-free game streaming or recording. 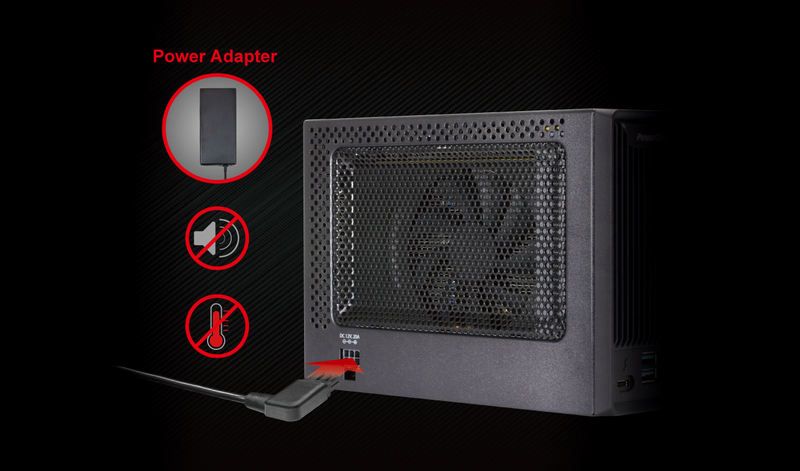 PowerColor Mini Pro adopts an external power adapter which efficiently reduces the noises comparing with standard PSU. 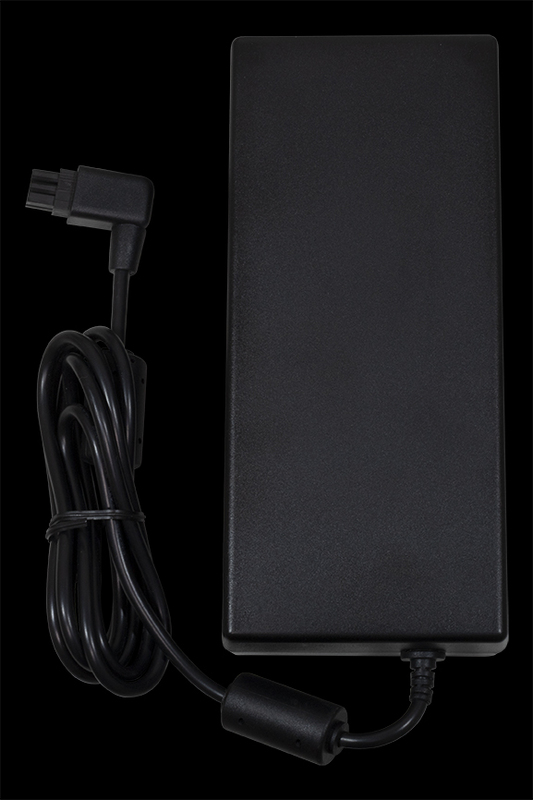 Moreover, by using external power adapter, you will be more comfortable when there is no heat from it. 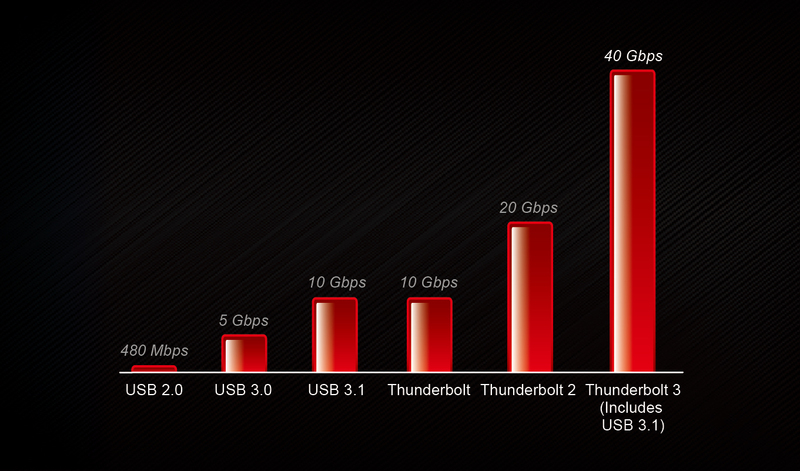 ‧ The front design of Thunderbolt port is more user friendly and easy to plug when it connects with your Macbook. 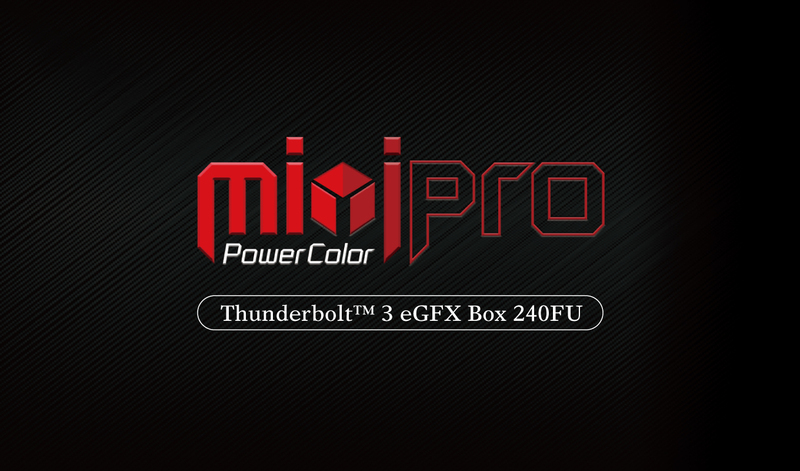 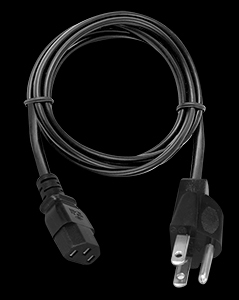 ‧ PowerColor Mini Pro equips with 2 x USB-A 3.0 which provides more possibilities to you to connect with keyboard, mouse, HDD, or other devices. 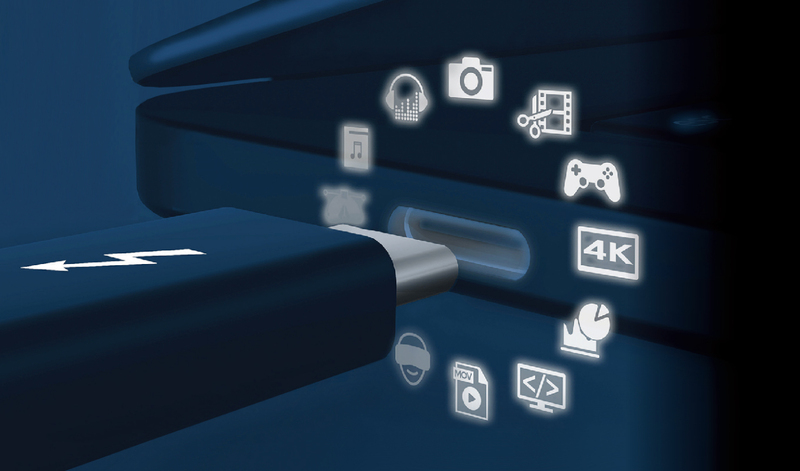 Gigabit Ethernet provides more stable & faster internet connection.